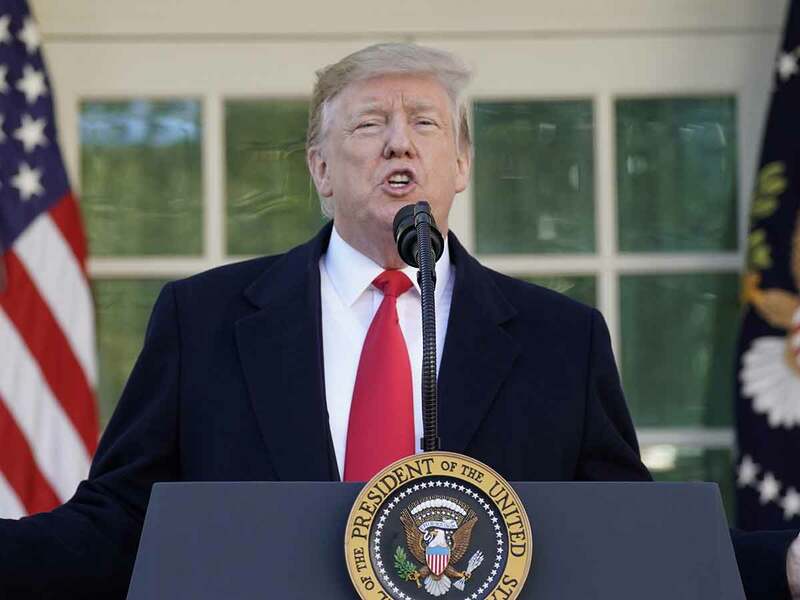 WASHINGTON: U.S. President Donald Trump on Friday said a deal had been reached on legislation that would reopen the U.S. government through Feb. 15. "I am very proud to announce today that we have reached a deal to end the shutdown and reopen the federal government," Trump said at the White House. "In a short while, I will sign a bill to open our government for three weeks, until February 15." Trump said in the meantime a bipartisan committee of lawmakers would meet to discuss the nation's border security needs. While defending his wall project, Trump made no firm announcement regarding his demand for $5.7 billion to fund the border wall - a key campaign promise to his right-wing base. The government closure was in its 35th day on Friday and was threatening the economy as hundreds of thousands of federal workers missed a second paycheck on Friday. The U.S. Senate rejected two shutdown-ending bills on Thursday. Trump had been dug in, insisting on funding for a wall he wants to build on the U.S.-Mexico border, while the Democratic-led House of Representatives opposed the wall. Democrats in the House had demanded a reopening of the government before any negotiations with Trump and his Republican allies in Congress on border security.